Does this seems like a weird topic for an article? If so, then this is evidence that you may need to read on. The transition from job-to-job is a crucial part of your career process. Just think of sport stars who are great in one team and make a bad move to another environment/team/role that doesn’t suit the person and his/her performance suffers. This can lead to a decline in the athlete’s career prospects and net worth. I call it a job exit wound. Job transition is a crucial process in any profession or career path, and, if you are to avoid exit wounds, (such as being fired or accepting an unsuitable job as you have no alternatives) it should not be left to chance. In this article, we talk about some of the processes that you can adopt to ensure that you are able to leave your job in a way that enables it to become a stepping stone to the next stage of your career and avoid those exit wounds that can seriously hinder your future employment prospects. Try to avoid resigning in haste, usually as a result of some workplace grievance. Try and get a transfer, try and work it out or start applying for a new job, but don’t just bail out. Hold your nerve, maintain focus and plan. Also, be aware of signs that your job may be at risk, and never bury your head in the sand. Engage and ask questions during monthly company briefings. Always know the financial position of the company and, more importantly ,your department, as well as the market. If there is good evidence to suggest that the company may be in decline and there is a risk of layoff, this is the time to start considering alternative roles. Be honest with yourself. If you are severely under performing you may be at risk of being fired. Don’t ignore the signs, try and understand why it isn’t working and fix it and/or start looking for a more suitable job (they are not mutually exclusive). Don’t wait until you are pushed as you will be in a worse position. If there is an acrimonious split from an employer there can be a temptation to hit out, sever ties and effectively burn bridges. Never do this, as you could easily have to collaborate with ex-colleagues or employers in the future and it will be much better for you if they are cooperative rather than wanting to sabotage your career. But, let’s be more positive than this, you should view your current colleagues as key members of your current and future network who can help you get other jobs or win new business. Your future success can depend on the power of your network and how well you use it. So be proactive about your network, particularly when you know you may be leaving. 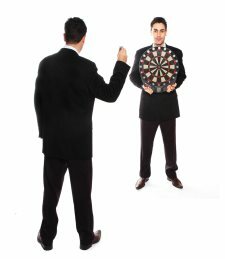 Aim to settle any outstanding issues/disputes that you may have, particularly with senior staff. When you leave, write individual goodbyes and thank yous to your key contacts and a general one to the wider group and ensure it includes an invite for them to connect with you on LinkedIn. Join any ex-employee LinkedIn groups that may be available as you will find powerful allies in these groups too. Identify potential referees and then ask them if they would be prepared to be a reference for future employment. Also, ask them if they would write a testimonial for your LinkedIn profile. Always try to honor the notice period. Don’t be tempted to leave early, (unless you can negotiate it), to join a new employer as doing this while at the same time leaving your current employer in the lurch will damage your reputation and relationship with your former employer. This is something you must avoid doing if you are to build bridges with them and engender goodwill so they’ll potentially assist you in the future.